The momentum of the Diversity Health Fair (Saturday May 29th) is growing! The recently hired Coordinator and Assistant are working hard to establish relationships with potential sponsors and exhibitors. They have been researching to find new groups and organizations that could participate for an even more exciting, active and more interactive Fair. We have contacted many organizations regarding their sponsorship, booths at the Fair and donations for the tote-bags or door prizes. We are still hoping to secure additional funding, but at minimum we are raising the profile of AMSSA & the Fair. There are many successes to be celebrated, but you’ll have to wait until the Fair to see what the goodies & door prizes are! Unfortunately, our beloved Carnival Band is not available this year. Therefore in addition to having new fitness classes, cooking demonstrations and outdoor activities, we will have new entertainment! Check out our updated website www.amssa.org/healthfair2010 for more information on who is coming! Are you coming? Mark your calendar! Safe Harbour: Respect for All continues to expand in 15 Alberta communities, six Manitoba communities, and St. John’s, Newfoundland. We are excited to announce that staff from McDonalds, as well as representatives from St. John’s Public Libraries, YMCA-YWCA, Stella Burry Community Services, Community Alliance, and the Lantern are the first Safe Harbour Locations to sign on in Newfoundland. Our program year is coming to a close. 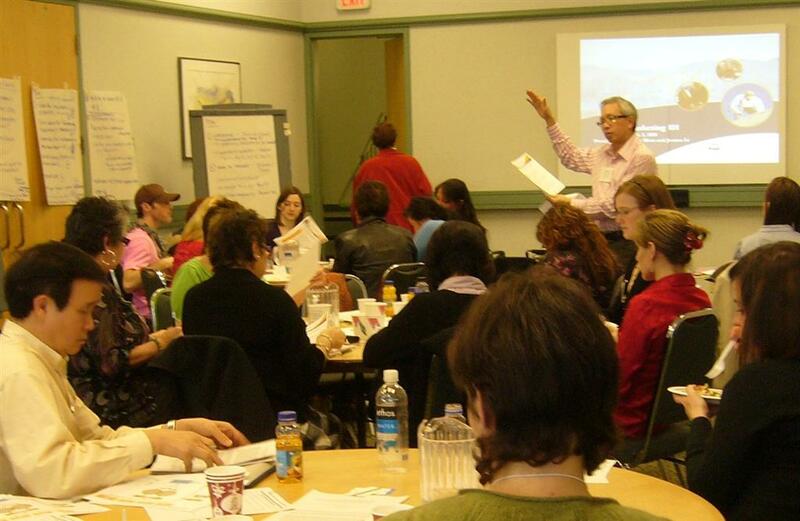 March is a time for evaluation and wrap-up, media events focused on Safe Harbour’s proactive approach to combating racism and discrimination, and discussions of next steps. AMSSA wishes to acknowledge the support of Citizenship and Immigration Canada in expanding the Safe Harbour program from coast to coast. Respect for All – Pass It On! AMSSA and our partners are thrilled to see the Regional Municipality of Wood Buffalo become a supporter of Safe Harbour: Respect for All and embrace diversity in such a proactive way. We wish to commend their work around creating welcoming and inclusive communities, as signatories to the UNESCO Canadian Coalition of Municipalities against Racism and Discrimination. Wood Buffalo has purchased 300 Respect for All wristbands and up to 300 employees will be participating in Safe Harbour workshops in the coming weeks. Safe Harbour in BC continues to build momentum and work with Safe Harbour locations. The Intercultural Association of Greater Victoria has been working on a Youth Ambassador project in partnership with Sooke School District #62 and the Service Canada, Greater Interior and North BC offices will be one of the newest Safe Harbour locations in BC. Councillor Woodsworth has proposed a motion to have the City of Vancouver join other cities and become a signatory to the UNESCO Canadian Coalition of Municipalities against Racism and Discrimination (CMARD). Unfortunately, City Council voted the motion down, saying they needed more time to review. Safe Harbour has recently been in the news across Canada. March 21st – The International Day for the Elimination of Racial Discrimination will be commemorated at these two free events. South Vancouver Neighbourhood House will be holding a symposium featuring a youth presentation on an Anti-Racism Dialogue Circle project, as well as a presentation on addressing racism in the workplace by Debbie Nider, the Racism Prevention Office with Human Resources & Skills Development Canada. HRSDC’s Racism Free Workplace Strategy will showcase two short National Film Board films, “Still Waiting for Justice” and “Making It,” and lead discussions about manifestations and impacts of racism and discrimination in the workplace. Attending organizations will each receive a copy of the NFB Work for All videos and facilitation guide. Facilitators from the Safe Harbour: Respect for All program will present interactive scenarios and discussion focused on strategies that managers and staff can use to provide immediate support to people needing safe refuge from discrimination and ways to provide create a more welcoming workplace for all forms of diversity. The Centre for Race & Culture and the City of Edmonton’s Racism Free Edmonton are also partners in this event. AMSSA is organizing a 1.5-day provincial Diversity Leadership Expo to share knowledge about, and showcase effective models for, community programming that promote the understanding about and welcoming of diverse populations. The Diversity Expo will benefit local multicultural societies and their community stakeholders, allowing them an opportunity to network and share information, and learn marketing strategies to increase awareness of programs and leverage partnerships with the corporate sector. 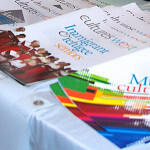 For the second day of the Diversity Expo, a broader set of stakeholders will be invited to learn about various provincial multicultural programs and common themes in programming for diversity. 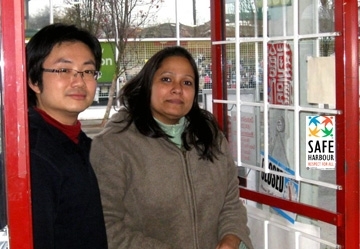 The BC Diversity Leadership Expo will take place April 19-20, 2010 at Executive Airport Plaza Hotel and Conference Centre, 7311 Westminister Hwy., Richmond, BC, V6X 1A3. 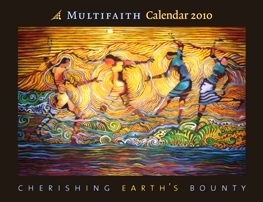 There are still 2010 Multifaith Calendars available for purchase. Order yours soon as they won’t last forever . On March 3, AMSSA organized Building Community Bridging, our second BCSAP Stream 2 Provincial Networking Event. The event was held at the YWCA Hotel, and thirty adult host, youth buddy, and employment mentoring program coordinators/managers attended in person. The morning featured a facilitated networking session and an opportunity to develop action plans for sharing information by program area. In the afternoon, Shelley Motz and Joanna Li (Strategic Initiatives Unit, Immigration and WelcomeBC Branch) joined the meeting to provide an introduction to social marketing, an overview of the ELSA Advertising Campaign, key elements of a social marketing plan, and useful tools and resources to help program coordinators/managers develop their own social marketing campaigns. AMSSA would like to thank the Immigration and WelcomeBC Branch for providing this opportunity, and the presenters and facilitators for their great work. On February 3, AMSSA hosted a networking meeting for NGO Directors funded through BCSAP Stream 1, 2, 1/3 Blended and pilot programs. 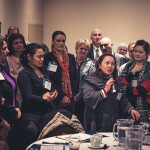 The event took place at the Hilton Vancouver Metrotown in Burnaby, BC, and 45 directors attended from across BC. The morning featured presentations on the history and future of the settlement sector in BC, including: History / Snapshot of the Settlement Sector by Manpreet Grewal (Abbotsford Community Services), Overview of Immigration and WelcomeBC Branch: Responsibilities, Priorities and Planning by Deb Zehr (Immigration and WelcomeBC Branch), and an Overview of Citizenship and Immigration Canada’s Modernized Approach by Jean Seguin (Director, CIC-NHQ Integration). In the afternoon, participants engaged in a roundtable to discuss the potential impacts on the immigrant and refugee serving sector and how to prepare for the future. AMSSA would like to thank the Immigration and WelcomeBC Branch for providing this opportunity, as well as all of the presenters for their contributions. 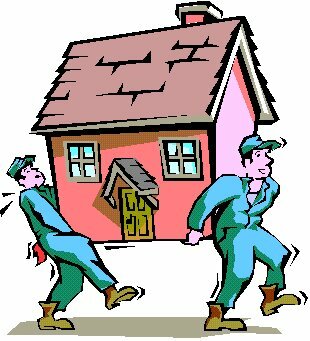 AMSSA will be consolidating our office space in April 2010. We will be giving up suite 203 and moving our Health Fair team to join the rest of the AMSSA staff at 205 2929 Commercial Drive. The AMSSA office will be closed on April 12th and as of April 13th, 2010, some of our phone numbers will be changing. Please check our website or call our main line at 604 718-2780 for more information.